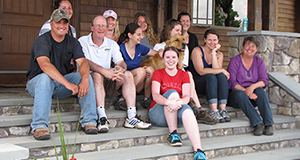 What were you doing before entering the Masters in Animals and Public Policy program? 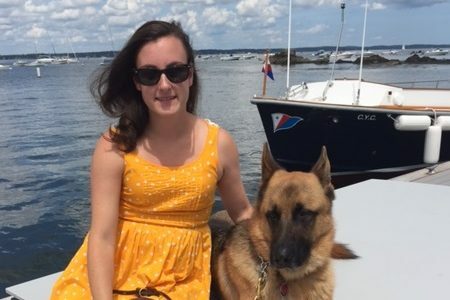 After graduating college, I took a year off to apply to graduate school and to continue training my service dog in medical alert and assistance tasks. In addition to training my service dog I have been interning at Working K9 Unit Training and Kennel, learning how to train dogs in basic obedience, French Ring, PSA, personal protection and police work. During the past year I learned a great deal about different methods that go into training various types of working dogs. I first heard about the MAPP from my Animal Behavior professor at college. My professor mentioned the MAPP program has an open house in January and I jumped at the chance to learn more about what the MAPP program had to offer. Once I attended the open house I was immediately hooked. Finding this unique program was a dream come true for my animal related interests. The MAPP program allows students to develop a better understanding of human-animal interaction without having to become a veterinarian or conduct invasive animal research. Growing up I lived with two Dachshunds, an Irish Setter and a cat as well as an array of small animals including hamsters and fish. In high school I became the proud owner of a Belgian Warmblood horse named Duke who attended boarding school with me at Dana Hall School. Duke and I competed in Equitation and Hunter Jumper classes in horse shows across New England, and also competed in hunter paces and trials and frequently participated in fox hunts at Myopia Hunt Club. In addition to riding Duke I competed on my high school equestrian team. During my senior project in high school I worked for the Boston Park Rangers Mounted Unit and helped take care of the horses and prepared them for patrol. I enjoyed working with the Park Rangers so much I continued to volunteer for them until I went to college. In college I continued my work with horses by participating in a study that looked at positive training methods vs negative training methods with miniature horses. Senior year of college I began owner training my service dog Silas, which lead to my interest in certification and the registration process for owner trained service dogs. My main focus in the MAPP program is to learn as much as possible about public policy pertaining to service dogs. I would like to use my understanding of public policy so I can create a nationwide service dog certification and registration process for owner trained service dog teams. I would love to create a national service dog registry and certification program to help improve public access for service dog teams. In addition, I would like to educate businesses about service animals in public establishments and help businesses fully understand the rights of service dog teams and the rights of a business when a service dog team enters the establishment. I enjoy Mel Brooks films, swimming, tennis and short walks on the beach. I currently own a German Shepherd Dog named Silas.